JetBlue consistently receives the highest customer satisfaction scores among low-cost carriers in the United States. While they no longer provide free checked bags to all passengers, JetBlue offers a number of inflight perks that keep passengers happy. From free internet on many flights to unlimited snacks to free satellite television, JetBlue is a solid way to fly around the U.S. (and to a number of other countries). With the Barclays JetBlue Plus Card, you can make these flights even more enjoyable thanks to a number of perks, and even earn True Blue points for award flights. As a World Elite MasterCard credit card, you can also count on it coming with a number of consumer protections. JetBlue flights serve a number of destinations across the United States as well as the Caribbean, Mexico, Central America, and even northern South America. The JetBlue Plus Card can help you earn True Blue points so you can book your next vacation flights on points. With the JetBlue Plus Card, you can earn True Blue points on all of your purchases, which can help you book your next award flight and take an amazing vacation. With this card, you can earn 6X points per dollar spent on all JetBlue purchases, so all your cash tickets can give you a big boost toward your next award flight. Unlike many co-branded airline credit cards, the JetBlue Plus Card comes with a couple popular bonus categories that make earning True Blue points even easier. You can earn 2X points per dollar spent at restaurants and grocery stores. All other purchases with the card will earn 1X point per dollar spent. Additionally, you will receive a bonus of 5,000 True Blue points after your account anniversary each year you keep the card. If you have Mosaic elite status with JetBlue, you can earn even more True Blue points on your cash tickets with JetBlue. 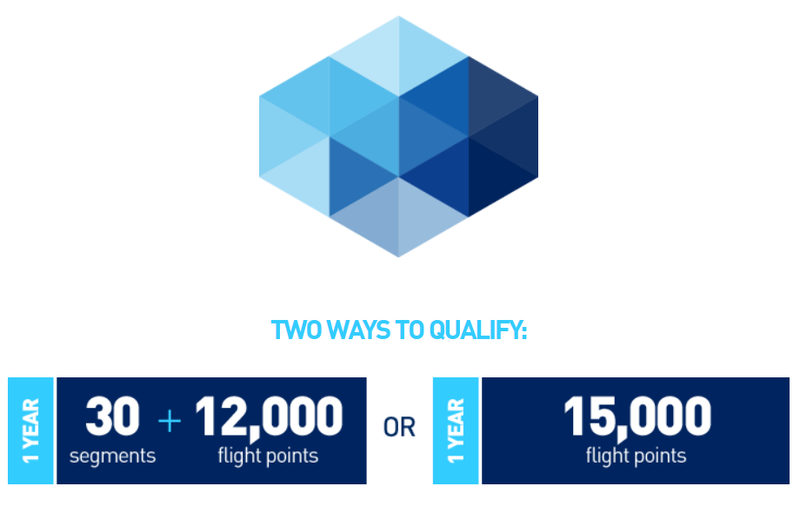 In addition to the 6X points per dollar you’ll earn with the JetBlue Plus Card, you will earn 3X points for booking your flight through JetBlue’s website plus 3X points for having Mosaic. With this combo, you could earn 10X points per dollar spent on JetBlue tickets! Don’t forget that the JetBlue Plus Card often comes with a hefty sign-up bonus to get you started. Just meet the minimum spending requirement within the stated timeframe and you’ll be on your way to some amazing award flights. Hot Tip: Need some inspiration for ways to use your points? Check out the best ways to redeem TrueBlue points for award travel. With the JetBlue Plus Card, you don’t have to be a road warrior to earn Mosaic elite status. Now, you might be wondering how you’ll earn JetBlue Mosaic status if you don’t fly regularly for work. Well, the JetBlue Plus Card can take your annual credit card spending and turn it into elite status for you. If you have the JetBlue Plus Card, you will earn Mosaic elite status when you spend at least $50,000 in a calendar year. Once you hit this spending threshold, your new Mosaic status will be applied within 4-6 weeks. This means you’ll have Mosaic elite status for the remainder of the year in which you earned it as well as the entire following year. Mosaic elite status comes with a number of benefits and perks that can make flying with JetBlue even better. Perhaps the most basic but important perk provided by Mosaic status is the ability to change or cancel itineraries without fees. This benefit even extends to other people booked under your reservation. While holding the JetBlue Plus Card already provides a complimentary checked bag to you and your traveling companions on your itinerary, Mosaic status allows you to check a second bag at no cost. Mosaic members also receive access to priority boarding, and you’ll even receive complimentary alcoholic drinks once onboard. Finally, upon earning Mosaic elite status, you will receive 15,000 True Blue points for a big boost toward your next award booking. The Barclays AAdvantage® Aviator™ Red World Elite Mastercard® and the Citi® / AAdvantage® Platinum Select® World Elite™ Mastercard® each provide cardholders with a 10% rebate of the American miles they use (up to 10,000 per calendar year) to book award flights. Similarly, the JetBlue Plus Card provides a 10% rebate on all True Blue points redeemed for award flights. This perk is a great way to extend your miles further so you can book even more award flights and save big money on your vacations. If you’ve ever looked at an inflight menu while traveling in economy on a domestic flight, you’ve probably noticed how expensive the meal and beverage options can be. With the JetBlue Plus Card, you can save 50% on these inflight purchases so you can enjoy a meal and a beer, cocktail, or glass of wine without breaking the bank. Additionally, you will also receive the 50% savings when you purchase a movie to watch. As a World Elite MasterCard, the JetBlue Plus Card comes with several benefits beyond the ability to earn free flights and improve the JetBlue experience. The JetBlue Plus Card offers trip delay insurance if your flight is delayed by at least 6 hours. With this perk, you can claim up to $300 and be reimbursed when you run into these delays. You are eligible to claim this perk twice within 12 months. This coverage is secondary, which means that it kicks in after anything the airline offers you. Bottom Line: Long delays aren’t the norm, but if and when you experience one, you’ll want to be covered by trip delay insurance. If a purchase you make comes with a warranty of 24 months or less, you could be eligible for extended warranty coverage that comes with the JetBlue Plus Card. When you make a purchase with your card, you can receive an additional 24 months of coverage for up to $10,000. Only the amount placed on the card will be eligible for coverage. If you use the card to make part of the purchase, you will only be covered up to the amount put on your JetBlue Plus Card. If a purchase of yours is stolen or damaged within 90 days of the purchase date, you might be able to take advantage of the Purchase Assurance benefit. You are eligible for a reimbursement of up to $1,000 per claim and $50,000 per account per 12 months. Some items are not covered, so make sure you check the terms and conditions carefully. JetBlue is a popular airline that is only gaining steam. With the JetBlue Plus Card, you can earn tons of True Blue points to help you book award flights. 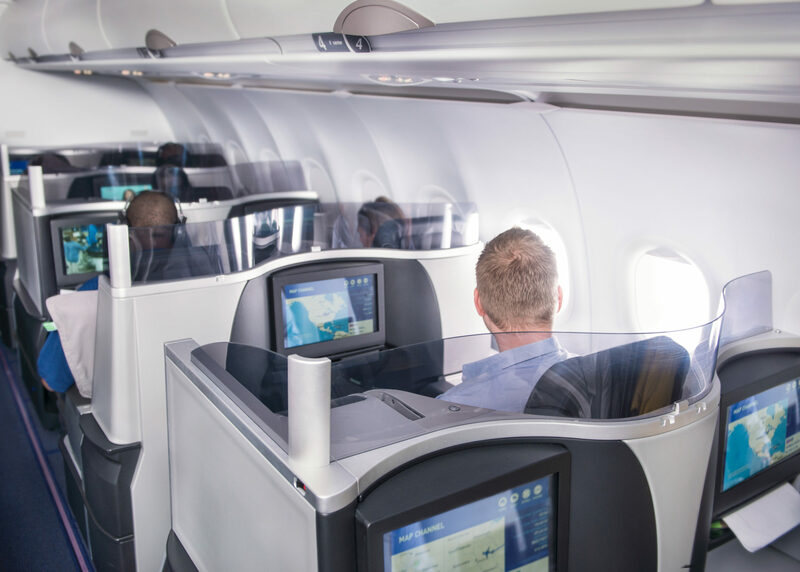 You can even spend your way to Mosaic elite status and make every trip more enjoyable. If you’re looking for an easy to way to earn JetBlue points, this just might be the best card to do so. Once you have a nice stash of True Blue points, you’ll only have to figure out where you want to go next! What is JetBlue Mosaic elite status? JetBlue only has one level of elite status: Mosaic. It comes with a number of perks from priority boarding to free alcoholic drinks to bonus True Blue points. What other co-branded JetBlue cards earn True Blue points? 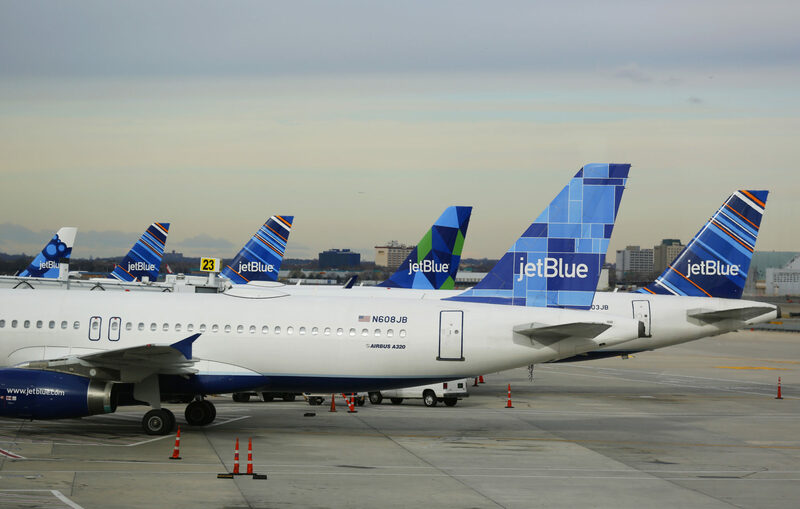 Barclays provides 3 co-branded JetBlue cards: the JetBlue Plus Card, the JetBlue Card, and the JetBlue Business Card. Each card earns 6X points per dollar spent on JetBlue purchases, 2X points per dollar spent at gas stations and restaurants, and 1X points per dollar spent on all other purchases. Good Morning. I was looking to upgrade my JetBlue Card to a Plus Card. I know there is an $99 annual fee, however I know some companies offer free upgrade for active duty military members. I was just wondering if Barclays was one of them? Thank you and have a great day. Barclays only waives transaction fees for military members, and that doesn’t include annual fees. I have a quick question: I love flying Jet Blue and I just signed up the JB card for 99 dollars annually. Would you suggest I sign up for another card to receive lounge status? If I use my Jet Blue Mastercard in Europe for purchases there, will there be a transaction fee or exchange fees? Let me know. I am travelling on a cruise and would like to use my card for purchases while we travel. Hey Isis, there are no foreign transaction fees on this card. It’s always best to pay in the local currency (they usually give you an option) in order to get the best exchange rate. You can find out more on fees and additional info about this card in our in-depth card review here: The JetBlue Plus Card Review.